The latest draft version of the TTIP agreement could sabotage European efforts to save energy and switch to clean power, according to MEPs. A 14th round of the troubled negotiations on a Transatlantic Trade and Investment Partnership (TTIP) free trade deal between the EU and US is due to begin on Monday in Brussels. A leak obtained by the Guardian shows that the EU will propose a rollback of mandatory energy savings measures, and major obstacles to any future pricing schemes designed to encourage the uptake of renewable energies. Environmental protections against fossil fuel extraction, logging and mining in the developing world would also come under pressure from articles in the proposed energy chapter. The European commission says that the free trade deal is intended to: “promote renewable energy and energy efficiency – areas that are crucial in terms of sustainability”. The bloc has also promised that any agreement would support its climate targets. In the period to 2020, these are binding for clean power and partly binding for energy efficiency, in the home appliance and building standards sectors. But the draft chapter obliges the two trade blocs to: “foster industry self-regulation of energy efficiency requirements for goods where such self-regulation is likely to deliver the policy objectives faster or in a less costly manner than mandatory requirements”. Campaigners fear that this could tip the balance in future policy debates and setback efforts to tackle climate change. Jack Hunter, a spokesman for the European Environmental Bureau said: “Legally-binding energy standards have done wonders to lower energy bills for homes and offices, so much so that energy use has dropped even as the British economy has grown and appliances have become more power-hungry. Another passage in the draft text mandates that operators of energy networks grant access to gas and electricity “on commercial terms that are reasonable, transparent and non-discriminatory, including as between types of energy”. This could create an avenue for preventing the imposition of feed-in tariffs and other support schemes to encourage the uptake of clean energy, according to lawmakers in Brussels. The environmental law consultancy, ClientEarth, was concerned that the new proposal effectively derogated responsibility for urgent climate change actions agreed at COP21 to the business sector. The energy chapter negotiations began as part of an EU push for unlimited access to exports of the US’s relatively cheap liquefied natural gas, much of it derived from shale. The EU is committed to a reduction in greenhouse gas emissions of at least 80% by 2050, as measured against 1990 levels – and pledged a 40% CO2 cut by 2030 at the Paris climate conference, last December. But the new text says that: “the Parties must agree on a legally binding commitment to eliminate all existing restrictions on the export of natural gas in trade between them as of the date of entry into force of the Agreement”. Other countries wanting to trade with the EU or US would also find themselves up against requirements that they remove trade barriers. In 2013, the EU’s trade commissioner Karel de Gucht promised the multinational oil giant Exxon that the energy chapter would remove obstacles to its expansion plans in Africa and South America. The giant rooftop that collapsed at a City University sports centre and left three injured has highlighted the potential threat of adding rooftop vegetation, a novel way to fight the heat-island effect, to old buildings. The accident, which could have injured hundreds of people originally scheduled to attend a dinner event on Saturday night, also called into question the lack of government supervision of this kind of rooftop vegetation, which is promoted by the Environment Bureau. At the City University, the vegetation was understood to have been added last year to the top of Chan Tai Ho Multipurpose Hall, which was completed back in the 1990s. While the roof was not designed to hold anything substantial – as indicated in the building plan submitted to the government in 1989 – vegetation that would have required a roof five times stronger was nonetheless planted last year, as part of the university’s pledge to go green. “The figures showed that the rooftop was not supposed to hold a lot of [vegetation],” said Vincent Ho Kui-yip of the Institute of Surveyors. Ho said the current building regulations relied heavily on owners’ own initiative in submitting a plan for approval if they altered a building’s structure. But the Buildings Department would never know if owners skipped this procedure. He said the department should remind owners to resubmit plans for new structures. Professor Jim Chi-yung, an expert on urban soil science and a staunch advocate of green roofs, said it would be “very risky” to install a green roof on a structure – especially an existing one – that did not meet loading capacity standards. He added that the drainage design for a green roof could be an Achilles heel, as it was often not done properly. Poor drainage could lead to water gathering on the roof, leading to dangerously high loading which could jeopardise the roof structure. But experts asked the public not to panic over the environmentally friendly measure. “It is already an accepted practice around the world,” said Leung Man-kit of the Green Building Council’s policy and research committee. City University said on its website that the green roof top “could achieve an energy saving of about 60 kWh/sq m per year, a reduction in CO2 emissions of about 3.2 tonnes per year, [equivalent] to planting 137 trees”. The Buildings Department could not confirm whether a new plan was submitted before the university added the rooftop vegetation. The university said on Friday night that the contractor had made proper assessments. Jules Verne recognized the potential of sodium batteries in 1869 – they powered the futuristic submarine of Captain Nemo, who found their “electro-motor strength” to be twice that of zinc batteries. 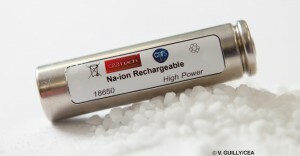 Now scientists at the French research network RS2E have brought sodium batteries into the 21st century, producing the first sodium-ion battery in the industry-standard 18650 format (a cylindrical format used in consumer electronics and Tesla automobiles). Several other labs are also working on Na-ion batteries, but RS2E is the first to announce the development of an 18650 prototype. Na-ion batteries could offer lower cost thanks to the abundance of sodium, and the prototype shows promising performance. The energy density of the new Na-ion cell is 90 Wh/kg, comparable with that of the first lithium-ion batteries. Its lifespan exceeds 2,000 charge/discharge cycles, and it is capable of charging and discharging rapidly. The next step is to optimize and increase the reliability of the cell with a view to future commercialization. “The first application, the most obvious, would be grid storage: storing renewable energy. We are talking about a market as big as the EV market,” said Jean-Marie Tarascon, a professor at the Collège de France and one of the heads of the RS2E network. China is to fast-track expansion and investment in energy saving technologies in an attempt to tackle its worsening pollution problems. China’s cabinet, the State Council announced plans on Sunday to make the energy saving sector a “pillar” of the economy by 2015. In a statement the council said that under the new plan the environmental protection sector will grow by 15% on average annually, reaching an output of 4.5 trillion yuan (£474 billion). China’s massive economic growth has come at a major cost to its environment and even its environmental ministry has described the country’s environmental situation as “grim”. Under the plan, environmental protection industries will receive funding from the government in an effort to stimulate technological innovation. The funding will cover a wide range of technologies that address air, water and soil pollution including energy saving products, waste disposal, electric vehicles and pollution monitoring. Many analysts welcomed the plan and some were quoted in the Chinese media as saying that it will create opportunities for investors and will give direction to the industry. “It’s good to see this and it’s an indication that development of environmental protection and energy saving industry is a priority, since it’s coming from the State Council,” said Alvin Lin, China Climate and Energy Policy Director with the Natural Resources Defense Council in Beijing. The plan also includes policies, standards, pilot programmes, financing mechanisms and incentives, emissions and carbon trading said Lin. However Lin believes that the plan is “vulnerable to being so broad as to be lacking focus and hard to implement. “I think it could discuss more on the importance of implementing standards and policies in order to create the demand for the energy saving and environmental protection market, and the importance of accurate measurement and public reporting to ensure standards are met,” he said. Ailun Yang, a senior associate with the World Resources Institute, said the initiative is “encouraging”. 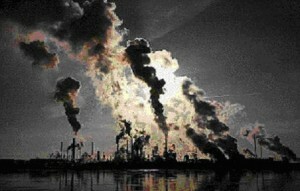 “It shows the ambition of the Chinese government to tackle its growing environmental problems while making the country the world’s biggest manufacturer of the environmental protection technologies.” She added however that more details need to be known before it is possible to assess the effectiveness of the new plan. Tackling pollution has been a priority of the new administration under Xi Jinping, especially as pollution has become a major concern among Chinese citizens and is one of the main causes of social unrest. In an effort to tackle the problem, China has also committed to reducing its carbon emissions per unit of GDP by 40-45% by 2020 from 2005 levels and is aiming to increase renewable energy to 15% of its total energy consumption. “Going forward, I think it would be important to develop a yearly inventory of various energy saving and emissions reduction products and services to get a more accurate idea of the growing size of the industry and the economic value and green jobs created, to demonstrate the economic benefits of improving the environment,” said Lin. The announcement that funding will be available to environmental protection industries may help China’s ailing solar industry. In recent years the Chinese solar industry has been struggling with overcapacity, international trade disputes and slowing global demand. “The problem with the solar industry is that China didn’t have a strong domestic market while the manufacturing capacity of the Chinese solar industry was overwhelming,” said Yang. The new plan should prioritise creating an “enabling environment and support the development of domestic market,” she said. Clear the Air says: no doubt this is a backdoor pacifier payment after dragging the power companies before Legco for trying to apply the legal binding agreement that the inept Government had signed with them under the Scheme of Control. A long time ago, the government said it would combat climate change and save energy. Then, in last week’s budget announcement, the government decided to give each of the city’s households an annual electricity subsidy of HK$1,800 (“Taxpayers can look forward to lower bills”, February 2). I think the subsidy will make the problem of energy consumption even worse because it will encourage people to use more electricity than before. Because people won’t need to think about the cost of power, they will use more and more energy, exacerbating climate change. If we really want to solve this problem, we need to teach people the advantages of protecting the environment. The government could also establish more sources of renewable energy such as solar panels. Hong Kong uses a lot of energy, and the government and public need to work together to change the situation. It could be lights out for Thomas Edison’s light bulb. Moves are being made around the world, including in Hong Kong, to ban incandescent bulbs on grounds they fail to meet today’s standards of energy efficiency. Many see the old-fashioned light bulb giving way to the compact fluorescent lamp, or even the light-emitting diode (LED). These would-be replacements come with some complicated shadows. Compact fluorescent lamps contain toxic substances – bad for the environment and possibly your health. And LEDs are expensive. Compact fluorescent lamps undoubtedly save energy. They are as much as 80 per cent more efficient than incandescent bulbs. The fluorescents have become big sellers, their costs cut by mass production. At about HK$30 each, a compact fluorescent lamp will save enough energy to cover its purchase price in a year, according to environment officials. That is part of the government’s argument for a proposal released last month to outlaw the supply of incandescent light bulbs of 25 watts or above if they fail a minimum energy efficiency standard. But each compact fluorescent bulb contains 2 to 5 milligrams of mercury. People should limit their exposure to 1 microgram, or a thousandth of a milligram, according to widely accepted recommendations, says Ron Hui Shu-yuen, chair professor of the department of electrical and electronic engineering at the University of Hong Kong. “Energy saving is not equal to environmental protection. If the environment is to be truly protected, air, soil and water all have to be covered,” said Hui, an award-winning researcher in lighting science. If the lamp does not break, the mercury might not present any danger. But when shattered, it could pose serious health risks, Hui said. “If it breaks, the first thing to do is to run away from it and open all the windows to improve ventilation. Don’t go near it for at least 15 minutes as the mercury will vaporise in higher temperature. The vaporised substance can easily find ways into your lungs and blood vessels and damage the central nervous system,” he said. Hui said some officials refused to acknowledge the hazards by insisting the mercury level was too low to cause any impacts on health. But increasing scientific evidence suggests otherwise. According to a recently published article in Environmental Engineering Science, a broken compact fluorescent lamp, or CFL, can continue to release mercury vapour for more than 10 weeks at a level that is a health concern for people. The research, conducted by Li Yadong and Li Jin, associate professors in the department of civil and environmental engineering at Jackson State University in Mississippi, is one of the original studies on the release of the toxic substance from a broken lamp. Eight compact lamps of four different wattages were tested. The mercury volumes contained in each of the sampled lamps ranged between 0.17mg and 3.6mg. The scientists found that up to 86 per cent of the mercury could be released as vapour after the lamp was broken. In the worst case, it could take up to 128 days for all the mercury to escape fully into the air. The newer the lamp, the more mercury it could potentially release. Citing another study in 2008, the researchers say the release of 1mg of mercury vapour into a 500 cubic-metre room can expose a child to 10 times the recommended limit. Hui said the potential hazards could be even bigger in Hong Kong, where most indoor environments were sealed, no effective system for collecting used lamps was in place, and warnings and education on the safe handling of the devices left much to be desired. These lamps easily break when people throw them out in their building or on the street. There are no measures in place at landfills to prevent the release of vapours and workers who collect rubbish are often unprotected from the hazards. “I have told the government to start monitoring the blood of these workers who face a high risk of mercury poisoning, but apparently no one has listened,” Hui said. At present, a chemical waste treatment plant in Tsing Yi is responsible for recycling the used lamps. It can handle about 400,000 fluorescent lamps a year. But that capacity fell far short of demand, Hui said. A spokesman for the Environmental Protection Department said the city currently had 900 collection points at residential estates and about 130 points in other places and it would continue to expand the network. On its website, the department stresses that the amount of mercury in the lamps is small and unlikely to affect your health when they are broken. But the department does warn people not to vacuum pieces of a broken lamp and to use gloves to handle them. Pieces should be placed in sealable plastic bags for normal disposal. Hui said the claim that fluorescent lamps were 80 per cent more efficient than traditional light bulbs needed to be placed in context. The amount of energy saved was tied to the lamps’ longer lifespan – up to 8,000 hours, he said. But in fact, improper use of the lights will often lead to early expiration. Hui said heat generated by the lamp could shorten the life of its capacitor, especially if the lamp was installed with it glass tube pointed downward. The energy that went into making each lamp, including mining the heavy metals and making the circuits, also had to be considered when thinking about the device’s efficiency. Despite the drawbacks, Hui says fluorescent lamps are a key transitional product for saving energy before other devices – cleaner and greener – became widely available and affordable. But better measures are needed to govern the production and recycling of the lamps. While the government is consulting the public about phasing out the older light bulbs, it is at the same time offering sizeable funds through the Environment and Conservation Fund to charities to encourage people to switch to compact fluorescent light bulbs or LEDs. One of the charities, the Tai Po Environmental Association, last year distributed more than 20,000 compact fluorescent light bulbs to residents. Dr Yau Wing-kwong, an appointed district councillor who runs the association, said it had taught people about properly disposing of the lamps. “We believe there needs to be more publicity on responsible disposal,” he said. New regulations are needed to force Hongkongers to cut energy consumption if they don’t want to rely on nuclear power, Council for Sustainable Development chairman Bernard Chan warns. The former Executive Council member made the comment as concerns mount locally over the use of nuclear power amid the crisis at the Fukushima plant following the devastating quake and tsunami in Japan. “Increasing nuclear supply is an option for cutting carbon emissions, but clearly the option has now become controversial after the crisis [in Japan],” he said. Chan said the council was preparing for a consultation to gauge public views on how the city should tackle climate change in the second half of this year. It will focus on ways to control public demand for energy and make recommendations to the government early next year. Measures being considered include forcing big consumers such as developers, listed companies and management firms of commercial buildings and shopping malls to audit and disclose their carbon emissions and energy consumption. Electricity consumed by buildings contributes to about 60 per cent of the city’s greenhouse gas emissions, of which commercial buildings take up 65 per cent. Apart from tightening existing energy efficiency standards for commercial buildings, the council would also explore the feasibility of installing meters in commercial buildings to measure electricity consumption; establishing best practice guidelines for different industries in energy consumption; and encouraging companies to become carbon-neutral – which means offsetting carbon emissions by investing in green projects. To set an example, Chan, who is head of Asia Insurance, invested HK$100,000 in a reforestation project in Sichuan province to offset 709 tonnes of carbon emitted by the company in 2009. His company conducted a carbon audit to determine its emissions. He said cutting energy use was far more effective than paying for carbon emissions. But one obstacle he found was that no matter how much on air conditioning his office saved, the saving would not be reflected on electricity bills as a management company run by the MTR Corp charged an air-conditioning fee in terms of office size but not the amount consumed. He was also told that it was impossible to install meters to record energy consumed by offices as the management company must gain the consensus of all individual owners of World Wide House, Central, where his office is located. “There’s a lack of incentive to cut energy. They won’t do it unless we have some mandatory measures that are feasible,” he said. Environmental lobby group International Rivers has condemned the emergence of trade in fake carbon credits and says the biggest source is hydroelectric power projects on the mainland. Under what is known as the Clean Development Mechanism (CDM) of the Kyoto Protocol, industrialised countries can support projects that decrease emissions in developing countries and then use the resulting emission reduction credits towards their own reduction targets. But International Rivers says the CDM is “failing miserably and is undermining the effectiveness of the Kyoto Protocol” because most of the emission reduction credits are fake and come from projects that do not reduce emissions. It says hydropower projects constitute a quarter of all projects in the CDM pipeline, and 67 per cent of these, or about 700 projects, are on the mainland. However, International Rivers says there has been no substantial jump in hydropower development to match the large number of supposedly new projects applying to generate CDM credits. The CDM recently withheld approval of carbon credits from numerous mainland dams and wind farms. Controversy over the Chinese dams recently led the European Climate Exchange (ECX), the world’s leading market for trading carbon credits, to renew its ban on large hydropower Certified Emission Reductions (CERs), which are carbon credits issued by the CDM executive board. The European Union is the biggest buyer of CERs, while China sells 70 per cent of the world’s CERs. Dams built before applications are made for carbon credits are deemed not to contribute to reducing carbon emissions and thus should not qualify to sell carbon credits. Such dams are called “business-as-usual” in the industry jargon. “There are blatant cases of hydro plants being business-as-usual, whereas other hydro projects seem to really require CDM credits,” Axel Michaelowa, a founding partner of the CDM consultancy Perspectives and a researcher at the University of Zurich, Switzerland, said. The accuracy of assessments of the eligibility of mainland dams for carbon credits is distorted by questionable data, Michaelowa said. “Many hydro plants in China use an artificially low utilisation rate for the calculation of their profitability. The regulators have also discovered some hydro projects reported a very low electricity tariff, lower than coal power plants and other hydro projects in the same province. At a meeting of the CDM executive board in February, 38 mainland dams failed to get carbon credits. The board also decided to review 36 wind projects in China, Katy Yan, a campaign assistant with International Rivers, wrote in her blog. “These 74 projects hope to produce almost 38 million carbon credits by 2013,” worth about US$600 million, she said. A World Commission on Dams report has set guidelines that determine whether a dam qualifies to sell carbon credits. By March 6, 16.32 million CERs had been issued for 132 dams, and China accounted for 71.52 per cent of the 653 large hydropower projects in the world that have been registered or are seeking registration under the CDM to sell CERs, according to International Rivers. A large hydropower project is defined as one with a capacity of more than 15 megawatts. On March 24, ECX announced it would renew its ban, imposed in 2008, on contracts with large hydro CERs, ECX market development director Sara Stahl said. “We have always excluded large hydro because it’s a grey area,” she said. Two types of carbon credits are traded on the exchange: CERs and EU allowances, which are carbon credits issued under the EU Emissions Trading Scheme. Since trading at ECX began in 2005, trading of carbon credits and related instruments has soared. Last year, the value of ECX’s trades surged 82 per cent year on year to €68 billion (HK$708.4 billion). Michaelowa said there was concern that some Chinese dams had required the resettlement of the local population without proper compensation and about whether large hydro plants are sustainable. In December 2008, an International Rivers press release alleged that German utility RWE, one of the biggest carbon dioxide emitters in Europe, planned to buy carbon credits from the Xiaoxi dam in Hunan – which failed to meet World Commission on Dams guidelines – and that would be a breach of EU law. On a site visit, International Rivers found 7,500 people had been evicted to make way for the Xiaoxi dam without proper compensation, which violated the World Commission on Dams guidelines. Xiaoxi is one of at least 11 Chinese large hydropower projects from which RWE was buying credits. TUV SUD of Germany was auditor for the project. At a CDM executive board meeting in March, the board suspended TUV SUD from auditing hydro projects, as it had approved dams that were later found to have problems. Another carbon credit auditor, Korea Energy Management Corp, was partly suspended. “The fact that only a few of the projects validated by TUV SUD have been rejected is proof of the quality of TUV SUD’s activities,” Heidi Atzler, a TUV SUD spokeswoman, said. An RWE spokeswoman, Julia Scharlemann, said every CDM project in which RWE was involved was “thoroughly reviewed” by an independent auditor, and RWE adhered to German Emissions Trading Authority rules, which were more rigorous than CDM processes and the standards of other EU nations. RWE bought carbon credits only from projects approved by the United Nations Framework Convention on Climate Change, she added. Michaelowa admitted CDM’s process of approving dams was imperfect, with room for improvement, while McCully said the best solution would be to scrap the CDM and the whole concept of international carbon offsetting entirely. “If that is not possible, then ban hydropower from CDM,” he said. You only have to look around our map to see that people all over the world are pledging their commitment. Join them now by signing up, and help to work towards a sustainable future. 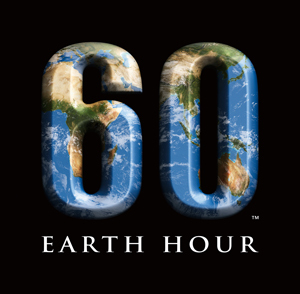 And remember to switch off your lights for Earth Hour, 27th March, 8.30pm. Make sure to sign up before the deadline!